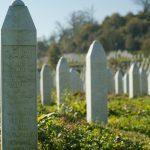 Remembering Srebrenica held a full programme of commemorative events in 2015, both nationally and locally, to mark the 20th anniversary of the Srebrenica genocide. 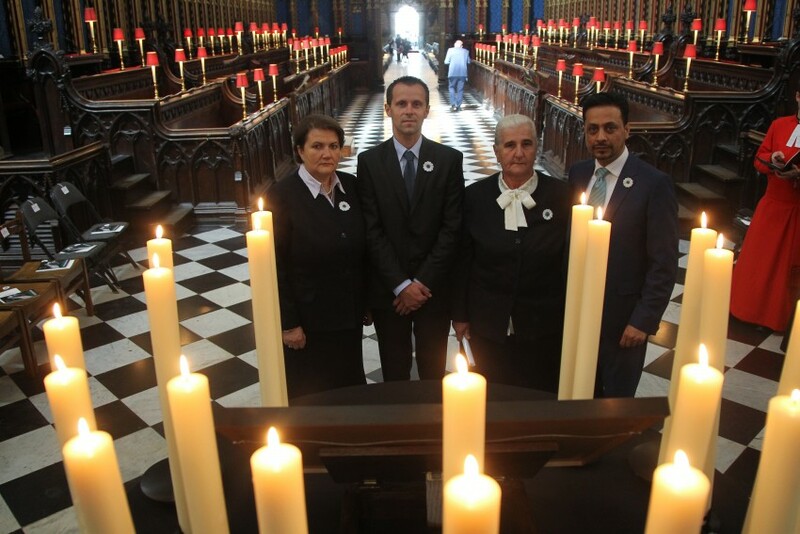 On Monday 6th July, 2,000 guests attended a Solemn Commemoration for Srebrenica Memorial Day at Westminster Abbey. The service included testimony from Munira Subasic of the Mothers of Srebrenica Association and addresses by key figures including President Bakir Izetbegović of Bosnia, Secretary of State for Communities and Local Government, Greg Clarke, the Grand Mufti of Bosnia and Herzegovina and former High Representative of Bosnia, Lord Paddy Ashdown. Schoolchildren from a number of schools who had participated in the Srebrenica education programme and the Srebrenica Memorial football tournament also gave readings, as well as Colonel Bob Stewart MP, who was a UN Commander in Bosnia and discovered the Ahmići massacre. This was followed by a reception at the State Apartment hosted by the Speaker of the House, the Right Honourable John Bercow and a reception at Number 10 Downing Street hosted by the Prime Minister. The National Commemoration for Wales, organised by the Deputy Presiding Officer of the Welsh Assembly and our Welsh Chair Saleem Kidwai OBE, was held on Wednesday 8 July 2015. The event was hosted by First Minister Carwyn Jones and featured powerful survivor testimony from Nedzad Avdic, who survived the executions in Srebrenica, and Nura Begovic of the Mothers of Srebrenica Association. The National Commemoration for Scotland, organised by our Scottish board under the chairship of the very Reverend Lorna Hood, was held at St Giles Cathedral on Friday 10 July. First Minister Nicola Sturgeon spoke movingly about the genocide, and hosted a reception for guests at parliament following the event. We were delighted this year to organise the first official commemoration of Srebrenica in Northern Ireland, held at Belfast City Hall on Sunday 5th July. The event brought together members of different communities in Belfast to hear survivor testimony of Bosnians living in the region, and has led to the creation of a strong Country Board for Northern Ireland under the chairship of Dr Ahmed Helmy.